Prior to April this year, tourism in Nicaragua had been growing for almost a decade, with more than a million visitors a year. In fact, following the announcement that a member of the UK royal family (Princess Eugenie) had been proposed to in Nicaragua, the Telegraph published an article entitled ‘Ten Reasons why Nicaragua should be your next holiday’. The safest country In Central America was a magnet for tourists – it had (and still has) something for everyone – lakes, volcanoes, mountains, beaches, historic cities – and it’s affordable. However, the US-inspired coup brought a halt to expectations, bringing tourism to the brink of collapse and putting thousands of people out of work. The top foreign exchange industry in the country found itself suddenly under threat and economic growth projections in the country were changed from an expected 4.9 per cent to 1 per cent or less. But Nicaraguan people are a force to be reckoned with and, following the coup’s failure, they have already set about rebuilding their country and winning the peace. The right wing opposition continue to bleat about repression and to call for regime change, obviously not caring about those who are without jobs and without an income. According to the Nicaraguan National Institute of Municipal Development, INIFOM, trade and tourism are starting to revive. The Nicaraguan Institute of Tourism, INTUR, reports that thousands of visitors have started to arrive in tourist destinations such as El Mirador de Catarina, the beaches of San Juan del Sur and the city of Granada. Municipal mayors’ offices are implementing strategies to reactivate services provided to national and foreign tourists as soon as possible, with the aim of attracting more visitors and recovering economic dynamism. (Source: Prensa Latina). Associated with the drive to encourage tourism once more, infrastructure and areas damaged by the wave of violence and the attempted coup are being repaired and restored. Commercial activity has quickly been reactivated following the crisis which began in April and most cities are returning to normality. Over the recent weekend, the Laguna de Apoyo/Catarina was packed with people. In Masaya, the placita in Monimbo was full of people for a festival organized by the town hall – at least 500 people sitting and enjoying the music in what had been the headquarters of the opposition until July 17. From 18-20 August, the first cruise ship since the crisis started will arrive in San Juan del Sur (14 had to be cancelled during the unrest). This shows that confidence in the stability of the country has returned. 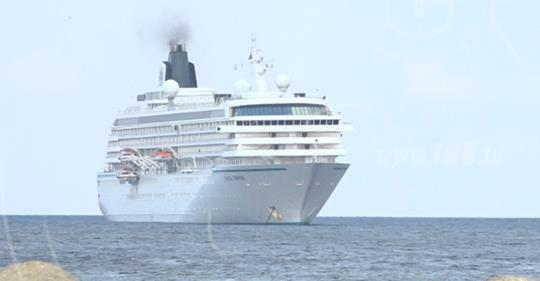 Almost two or three thousand tourists will arrive on this cruise ship, restoring the jobs of thousands of people working in the industry. In the nearby coastal resorts, while some hotels closed, others are reporting recovering trade and plenty of people are at the beaches at the weekends. Tourism is vital to Nicaragua’s recovery. The right wing opposition are still clinging to the hope that they will win power, but that hope has now receded. Aided and abetted by media such as the Guardian and BBC, they talk about ongoing repression and advise people to stay away. This advice is also being given by the UK foreign office and US State Department. The truth is that Nicaraguans have won the peace. They have kept the government they voted for in 2016 elections and they have stood up to and defeated the might of the US. The US will not give up trying, nor will the right wing opposition. For the rest of us, Nicaragua waits to greet us with open arms. Let’s go and enjoy what the country has to offer.